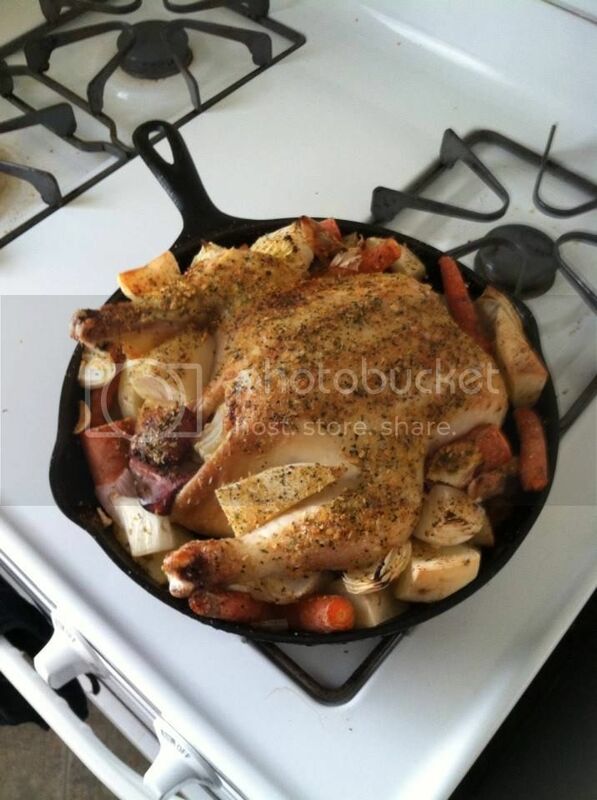 In one of JC’s videos, he cooked a whole chicken with some potatoes and carrots in a large cast iron skillet in the oven. I want to test out the cast iron cookware my grandma just gave me. The only problem is I’ve never cooked a whole chicken like this….. So, my question is, How long should I let the chicken cook for and at what temp should the oven be set at? I’m assuming 375 degrees for an hour and then check it, but not sure. I'm not sure what temp you want to cook the chicken at. I think you want to be more concerned with the temp of the bird before you eat it. I'm thinking that chicken needs to reach an internal temp of around 180 degrees. The finish temps vary depending on what part of the bird you're cooking (legs, thighs, breasts.....). Hope this helps.......enjoy!!! I'm gonna give it a shot, I'm pretty handy in the kitchen, so we shall see! I cook them until they skin is crispy and the bird is golden brown. 375 to 400 for an hour should do it. When I grab the legbone, I like it to pull out of the bird easily. That's a good telltale sign it's done. If your bird was previously frozen you may find a little blood in the joint but that's normal. Frozen birds always have that no matter how long you cook them. Again, I go by how easily the meat comes off the bone. I appreciate it JC. Bird should be done in about 15 minutes! Thanks for the input. I ended up going 400 degrees for an hour…. This was the end result! That’s a whole chicken, carrots, potatoes, onion, & fresh garlic. 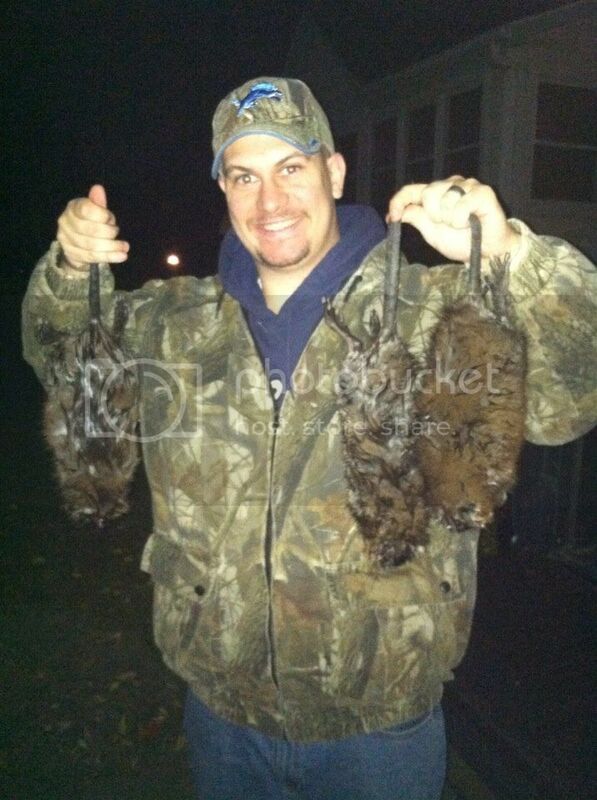 The only thing that could of made this better would have been a cold beer and some “Uncle Jim’s Pork & Chicken Rub”…. But I had neither. So, I seasoned it with some “McCormick Montreal Chicken” seasoning and washed it down with some homemade sweet tea. That was last night's dinner, and boy was it tasty! It was! I cannot wait to get more cast iron cookware! Nicely done buddy. Gotta love the diversity of the ironware. Thanks fellas. I plan on cooking a lot more. Actually, cooking is one of my passions. It’s because of that my wife calls me a “keeper”! haha! When the new iron arrives, I will be cooking…a lot, especially outside on the fire pit. I plan on starting a thread for myself and fellow swampers to share their cast iron recipes and a few “not to do” recipes! This way everyone can benefit from learning from others triumphs and failures. Stay tuned fellas, lots of good things happening!